Why settle for Gold when you can own the Platinum Boat Lift. 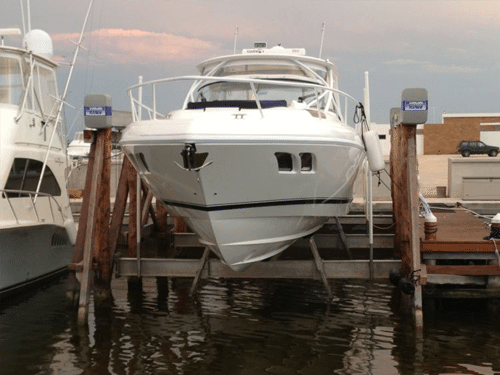 A superbly engineered gear-driven boat lift, the Imm Quality Platinum exceeds the industry standard and outperforms all other manufacturer’s products. The Platinum drive is an aluminum double worm transmission for a maintenance-free direct drive-to-shaft connection. The Platinum drive was re-designed specifically for marine applications in 2004. The fact that we have never had the Platinum drive fail for any reason has contributed to its’ legendary durability. We take pride in our engineering and product design expertise along with our unique capability to thoroughly performance test our lifts before they leave our factory. Take a look at our design and see why IQ boat lifts are Built for a Lifetime. 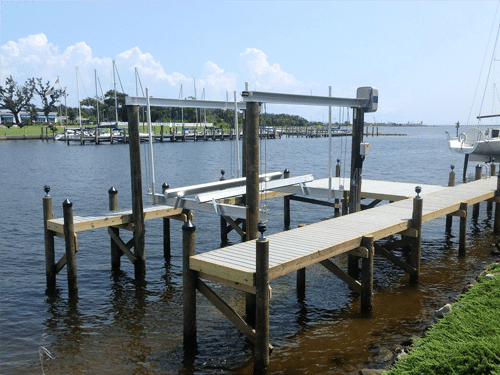 The Platinum Boat Lift is available in eight sizes in the four piling configuration up to 27,000 pounds, and in three additional sizes in the eight piling configuration up to 54,000 pounds.